Wood Block dipped in color showing the carving in the form of a gud design. We are exporter of apparels, home furnishings & accessories. Known for exclusivity and creativity, we also hold expertise in offering apparels in different colors, sizes, designs and patterns. 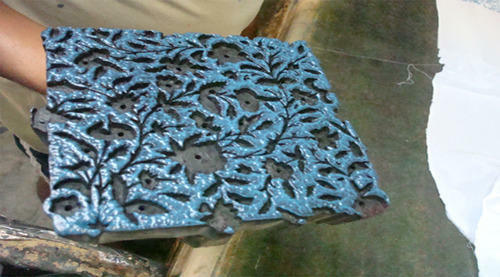 We specialized in hand block printing. We are known as the leading designers and exporters of Apparels, Home Furnishing products and Accessories. The products are designed in line with the quality standards and are available in different designs, patterns, sizes and colors. Moreover, our esteemed customers can purchase our range of accessories home furnishing products at market leading rates.